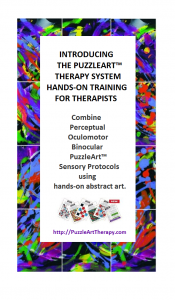 What is PuzzleArt Therapy Training? 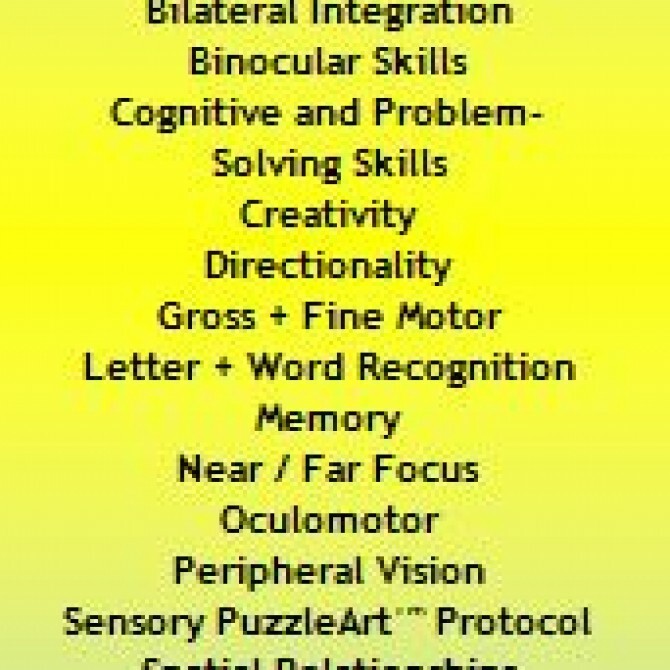 Learn a New Form of Perceptual, Oculomotor and Sensory Therapy with practical applications you can use the very next day. rehabilitation centers in 15 countries. Learn the developmental progression of visual skills. PuzzleArt TherapyTraining will give you the tools, techniques and materials to begin screening, assessing, and treating both children and adults with a variety of abilities.